Tomorrow is Election Day. Finally it’s your turn. Don’t forget to vote. Remember, I work hard for you, I’m experienced and I am a leader. 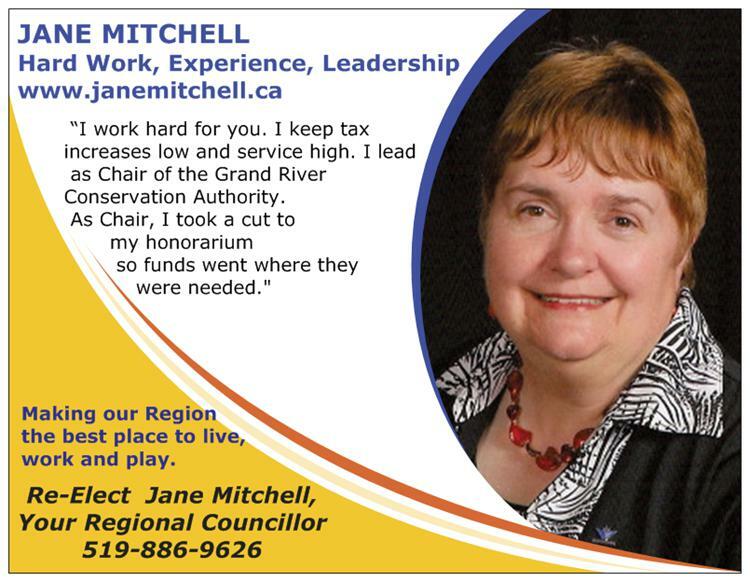 You can find my five priorities and pledges on this blog and go to www.janemitchell.ca for my experience. I pledge to continue working hard for you, doing my research and giving you straight talk about the issues. Together we can make Waterloo and Waterloo Region the best place to live, work and play. This entry was posted in Uncategorized and tagged Jane Mitchell, municipal, Region of Waterloo, Waterloo, Waterloo region. Bookmark the permalink.